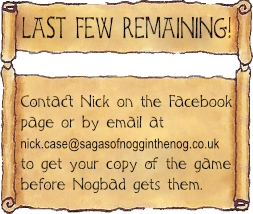 Join with other Northland Lords to help Noggin secure his crown from the evil clutches of Nogbad the Bad. 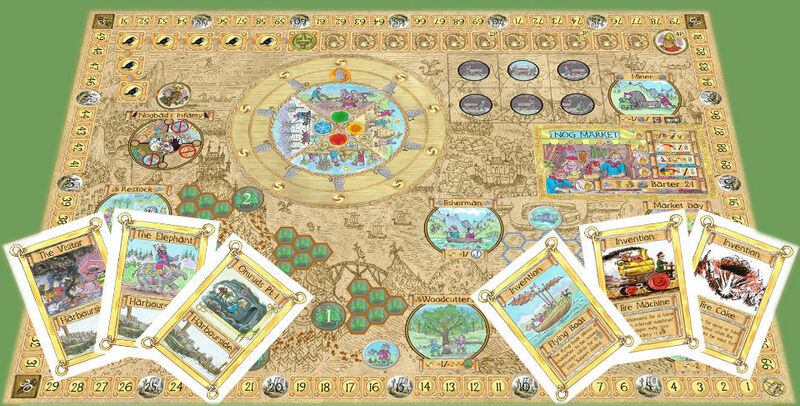 Prototypes of the board, Saga and Invention cards of the Tales of the Northlands, The Sagas of Noggin the Nog board game. With 50 new pieces of artwork created by Peter Firmin especially for the game, players will experience the magical world of Noggin, the Nogs and the characters of the Northlands. 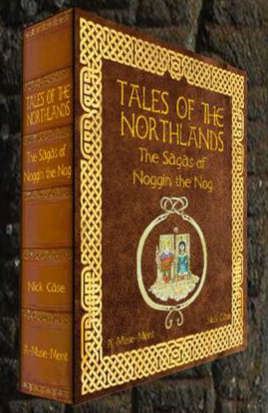 The game has now been launched on Kickstarter - Tales of the Northlands, The Sagas of Noggin the Nog on Kickstarter. 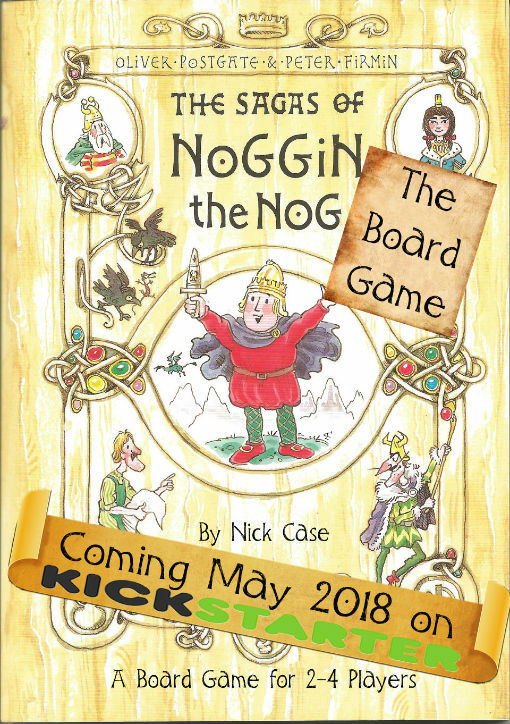 Tales of the Northlands, The Sagas of Noggin the Nog on Board Game Geek - keep up to date on the prototype progress and the Kickstarter campaign. 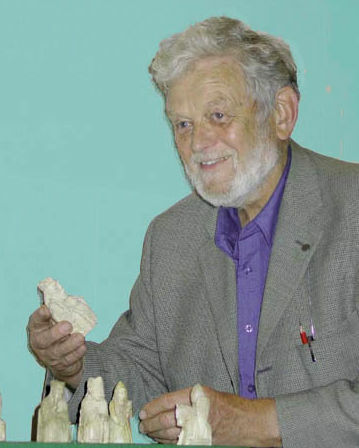 Peter with the Lewis Chessmen, the inspiration for Noggin the Nog.